An up and coming actress who has been trolling her colleague has been forced to apologize after she was nabbed. 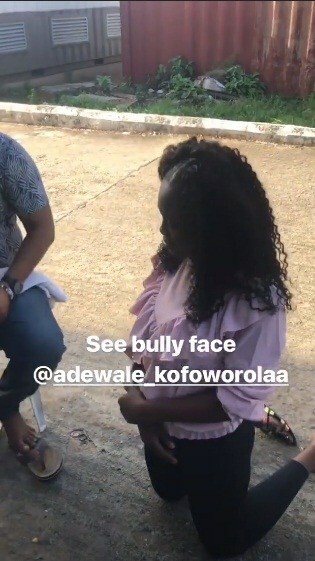 Well, Seyi Edun was not having none of that as she went after the bully and she didn’t go alone. 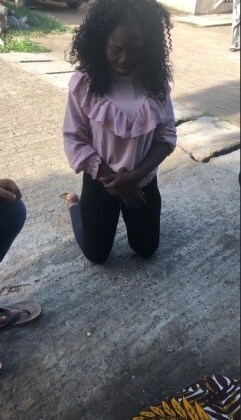 In a video shared on Seyi’s Instagram stories, Kofo is seen kneeling and at least two men were heard reprimanding her for using her phone to try to destroy someone’s life.